Frazee Carpets is the Triangle's leading full-service residential and commercial flooring company. With over 40 years of flooring excellence, we are the go-to company for incredible selection, great value and superior service. We offer the most experienced staff in the Triangle as well as a newly renovated 6000 sq.ft. 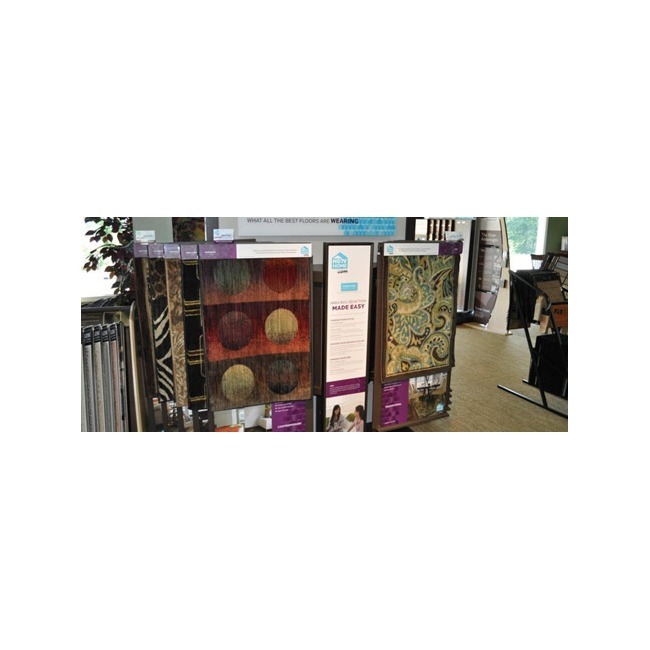 showroom that features many of today's most popular flooring products. The expert design team & professionally-trained expert installers will guide you through the flooring process. Frazee Carpet & Interiors s a full service provider of all types of flooring and other surface finishes. From carpet and vinyl to natural stone and exotic hardwoods, our experienced and knowledgeable sales staff will help you identify the perfect product for any room in your home. Our commitment to product knowledge, competitive prices and outstanding service is evident from the moment you step into our expanding showroom. Our experts provide a virtual dustless refinishing option that ensures your hardwoods get that extra touch to bring them back to life without all the hassle of sweeping and re-sweeping out the mess. Refinishing is a great option for floors that are still strong and sturdy but need a touch-up on the top layers. As with all of our services, our experts are here to help you decide what is best for your floors and to answer all questions you may have regarding your selections. Our on-site designer is available Monday through Friday 9am to 2pm to help you create a stunning masterpiece with your flooring. All of our flooring options are carefully designed and constructed to ensure maximum creative and aesthetic appeal while also providing the strength and stability expected with flooring. Ranging from timeless classics to the newest trends, we are sure to have the style of flooring for any home's desire. For any questions or assistance please feel free to contact Ruth Weistart at 919-286-5570 and she will help guide you to a selection that will make your house feel like home. Not sure of quantities and supplies? Ask about our in-home measurement services that are FREE OF CHARGE. We will measure your space to determine accurate material quantities and to eliminate waste. Please contact us for assistance. Want a custom rug? Pick any carpet we have in our showroom and have it cut to the exact size you want and choose from many custom binding options. This is a wonderful option when you may want to have a rug match the same carpeting that has been used for a runner. We offer several options for financial assistance. Please contact us for information. 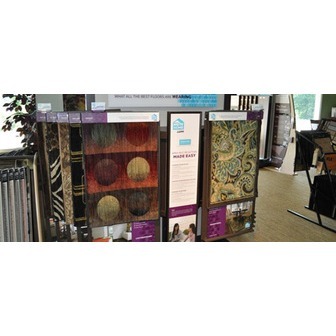 Whether you need a classic look or something fresh & trendy, Frazee Carpet & Interiors offers the largest selection in carpetting, tile & hardwoods. We are pleased to offer on site consultations, measurements and product selections. Our design staff & professional engineers can help you create a stunning masterpiece with your flooring. All of our flooring options are carefully designed and constructed to ensure maximum creative and aesthetic appeal while also providing the strength and stability expected with flooring. Ranging from timeless classics to the newest trends, we are sure to have the style of flooring for any home's desire. For any questions or assistance with choosing a flooring selection, feel free to contact one of our experts and they will help guide you to a selection that will make your house feel like home.